A lot of my travel revolves around periodical cicada emergences, and this year my visit to Jim Thorpe, PA was no different (read about the Jim Thorpe periodical cicadas emergence). Documenting a cicada emergence requires you to not only to travel where the cicadas are but also where they aren’t because we have to document the geo-spacial dimensions of their brood. This means I see more sights than most people who visit a town. 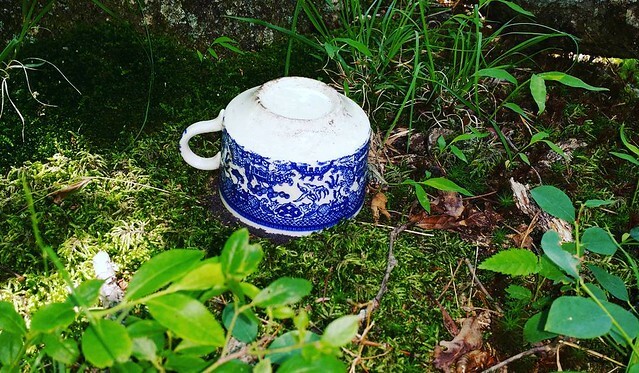 Combine that with my in-dash GSP’s nearly suicidal compulsion for taking me down the most hairy, rocky, slippery, narrow, axel-busting roads, and I see some really interesting, out of the way stuff. An aside: you’re thinking “in-dash GPS? Dan, it’s 2016, why aren’t you using Google Maps on your smartphone as your GPS?” Well, I do use WAZE when traffic gets atrocious, but the thought of using a tiny screen balanced in my palm or in a cup-holder isn’t appealing. “But Dan, you can buy an attachment…” Whatever, I like my in-dash GPS; it’s crazy, but it also gets me where I need to go while showing me miracles along the way. Back to Jim Thorpe aka the Switzerland of America aka Mauch Chunk. Jim Thorpe is a small city in the Poconos region of eastern Pennsylvania, in the county of Carbon (because this is coal country). It is nestled between three mountains, Broad Mountain, Pocono Mountain and Bear Mountain (used Peakery to figure that out). 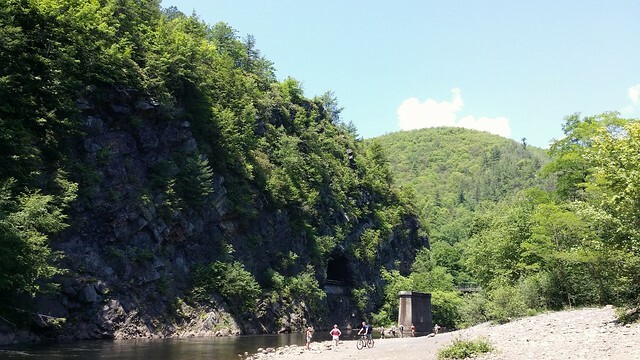 The original name of the town was Mauch Chunk, which means Bear Mountain in Munsee. My original guess was that the “Mauch Chunk” was the big chunk of coal located downtown, but no. Jim Thorpe gets its name from a gold medal-winning Olympic athlete and football player, but the story of why is a little out of the ordinary. 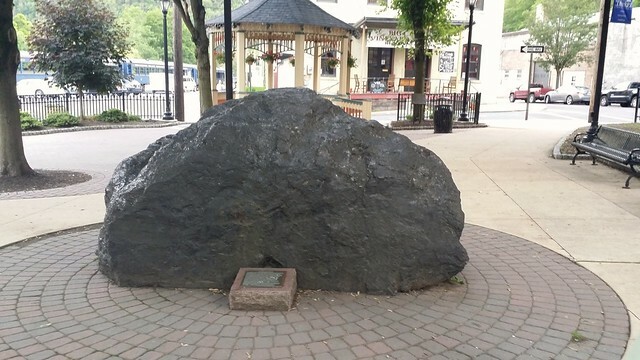 As told to me by a friend: Mauch Chunk wanted to gain some attention, so they paid Jim Thorpe’s family for the right to bury Jim in their town and name it after him. 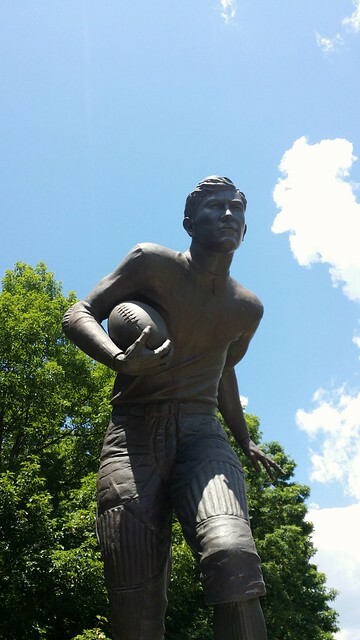 Money talks, and so now the town is called Jim Thorpe and Jim is laid to rest in a memorial park in on route 903. It’s worth mentioning that Jim was not born in this town, or even in Pennsylvania. 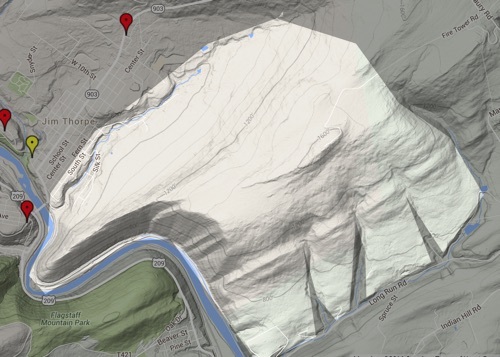 Jim Thorpe is also called “the Switzerland of America”, not because of cheese, but because of the mountainous terrain. Parts of the town seem like they’ve been poured onto the side of a mountain, like hot fudge on a pile of ice cream scoops. There is loads to do for bicyclists, hikers, and whitewater rafters. There is even a train that will drop you off on the other side of town so you can cycle back. 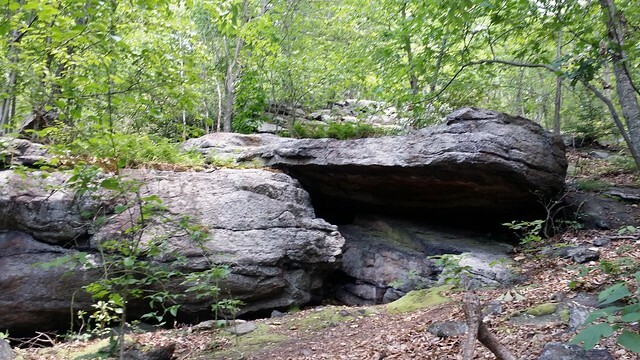 The natural features that are worth seeing are the Lehigh Gorge and the Glen Onoko Falls (which I only made it halfway to due to time constraints, but the path there was beautiful). If you want to get away from the crowded city or bland suburbs where the only green is your lawn, and you like physical activity, Jim Thorpe may be for you. It is a breathtakingly beautiful place. Downtown Jim Thorpe is interesting as well. I don’t possess the knowledge and vocabulary to properly describe the buildings, but many are crafted of fancy bricks and stone, with ornate filigree (not sure that is the right word; one moment while I look it up; close but not really) hewn out of the rock itself. I would equate the experience to when you see an old European town, and you see the amazingly intricate and expensive looking buildings, and think “how did they ever afford to build such amazing things — all we have today is crappy strip malls and cheap homes made of clapboard and sheetrock”? Google “Prague” to see what I’m talking about. Well, Jim Thorpe is like that — not every house; some look like shacks meant to be temporary housing for transient coal miners (as I’m sure they were) — but much of it is beautiful. My guess is coal money paid for the fancy buildings… but I’m sure some of it was due to craftsmen who came to America for a job in a coal mine but ended up applying trades learned in their home country. I could be wrong. I could be very wrong. 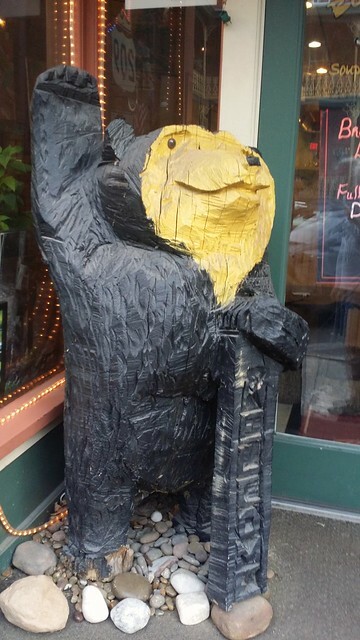 As you ramble on foot around town, be on the lookout for waving wooden bears, the Cheshire Cat in the window of the Through the Looking Glass Cafe, giant water turbines, the Mauch Chunk museum (which was not open when I was there — drat), the Mauch Chunk Opera, the Jail Tour, and angels in windows. Be respectful when you visit and wander the streets; residential homes are interspersed between bars, cafes and tourist attractions; don’t be the guy who yaps loudly on his iPhone at 12 am outside someone’s home. The tourists are part of any tourist town experience. Many tourists dress in bright primary-color uniforms that seem to be the only color available for weekend bicyclists and rafters. Add to that the similar palette of their bikes & rafts, and the whole town seems to be a swirl of brightly colored plastic particles. Maybe like a cheap kaleidoscope or if you spun around in the laundry detergent aisle at Walmart. I think Agnès Varda called it the “plastic colors of summer”. Downtown is generally well-paved and friendly enough for those with soft hands, but just outside of downtown, roads become single-lane rock n’ roll rim busters with more craters than Verdun France. Amusing hyperbole aside, my GPS loves to take me down such roads, and then the challenge becomes balancing my desire not to die with my passion for sharing every interesting exhibition of Americana on Instagram. The struggle is real, but the rewards are rich. Adrenaline for now; memories to last a lifetime (maybe, or a few months, depending). That’s about it on Jim Thorpe, PA. 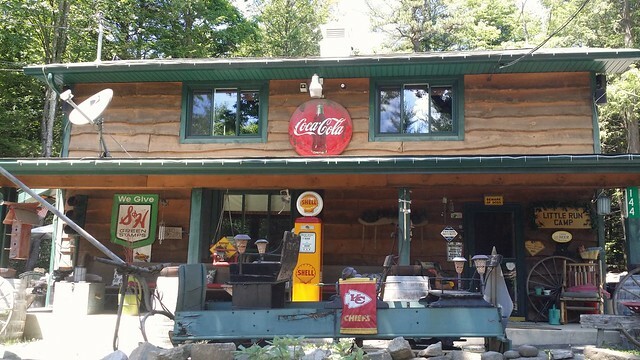 If you’re into nature, physical activity, uncharacteristically interesting American architecture, and Americana like waving bears, Jim Thorpe is worth the trip. One last shot. 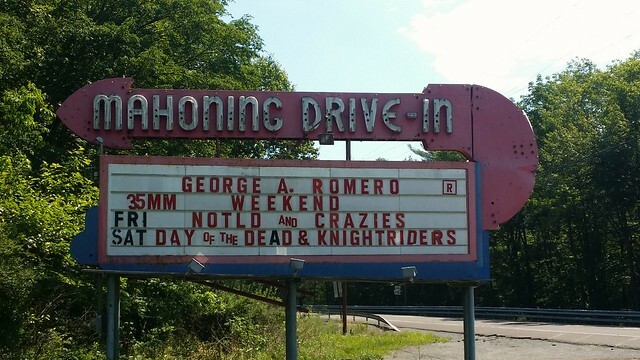 The local drive in. Cool.